1.When did you start your brand? La Basketry is actually a project I started with my sister a few years back but that we had to put on hold due to other commitments. We officially launched the website and our social media channels in January 2017 but our online store and first collection went live last May. 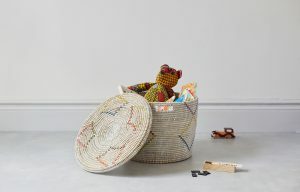 We offer a range of stylish yet practical storage baskets for contemporary homes handmade in Senegal by a group of artisans outside of our parents’ hometown. The artisans we’re lucky to be working with. Basket weaving is a tradition that has been passed down for generations to women in rural areas of the country. 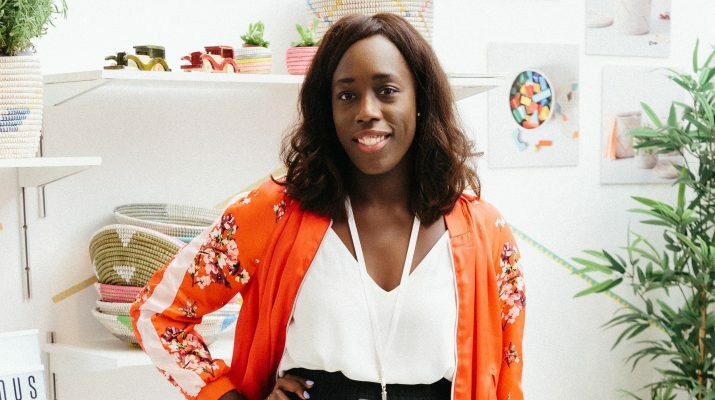 As we’ve been travelling to Senegal since we were babies, we have always been inspired by their skills – seeing them at local markets weaving away in artisanal villages and trying to sell them by busy roads under the blazing sun. We started La Basketry as a way to collaborate them and shining light on the amazing work they’ve been doing as well as generating regular income for them to support their families. 3.What’s your top business tip? There’s no such thing as the perfect time ! Yes you need to plan, do your market research but the only way you will truly learn is by doing! 4. Where’s your favourite place? Cheesy one but anywhere with my loved ones. Could be at my mum’s house in Paris with my brother or sister, on my best friend’s sofa catching up or at home with my partner. 5.What would be your ideal weekend? I’m a foodie so it would definitely involve food! I would love to go back to Rome or Lisbon as they are really foodie cities but very relaxed and there’s also quite a lot to see and explore.